Home/News & Features/Social Media News/Google/Latest changes on Google SERP: What’s in store for businesses? Latest changes on Google SERP: What’s in store for businesses? The latest change introduced by Google on its search engine result pages has got marketers thinking. In its latest bid to bolster user experience, Google has gone on to remove the sidebar ads that used to show up at the right hand side of the pages. Instead, they have gone on to introduce more number of ads above the pages. It is hardly surprising why marketers are talking about this particular change. This move from Google’s end now implies that there is lesser scope for organic results appearing above the fold. The number of ads that appear below the results, however, has not changed from what it was before. Post this particular change, a total of 7 ads can appear on the Google SERP. How will this impact your marketing strategies? Needless to say, this change would impact several aspects of your online marketing strategies including PPC. Here is what you need to find out. Lesser space for ads means that ads from smaller businesses will be left out. In fact, small business advertisers had expressed concerns that they will be priced out of the remaining space. However, much to the surprise of both Google and the small businesses, the particular move has not really brought about huge changes in the number of clicks. Speculations are rife that the availability of lesser space for ads will automatically lead to an increase in prices. And, the increase in PPC ad, in turn, will lead many businesses (especially the smaller ones) to shift gears as far as their marketing budget is concerned. 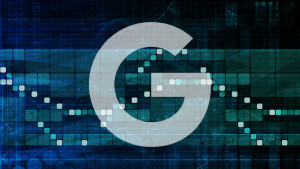 Google, however, has gone on to claim that no “appreciable” changes have been noticed in the cost per click aggregate. This particular observation, however, was based completely on the experiments carried out by the search engine giant. The easy returns from the launch have actually gone on to make way for such an assurance from Google’s end. Eminent columnist and Google’s very own Matt Lawson advises marketers to track the impact of this change particularly on advertisements. Performance can be optimized by monitoring your reporting closely. Keep track of the records and notice how things have changed post the February or so. You are most likely to notice changes in your impressions metric. Notably, the percentage of clicks procured from right rail ads wouldn’t be much. Make use of all ad extensions that you think are suitable for you. And yes! Don’t stop writing those great ads! Master your SEO: which page is the best for your keyword?